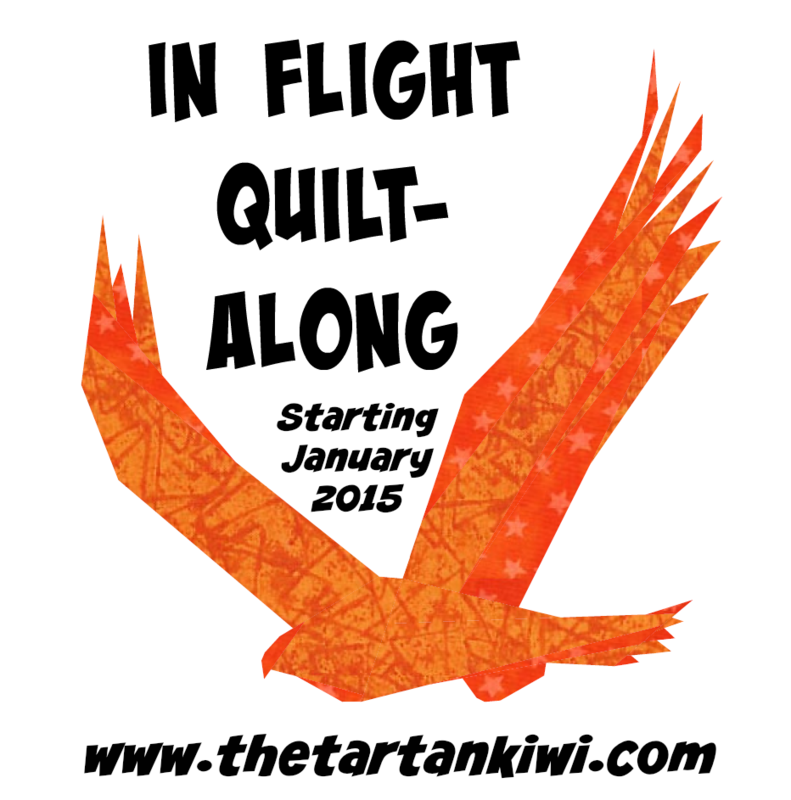 Hello and welcome to The Tartankiwi and the In Flight Quilt Along. I am really looking forward to sharing these patterns with you and can't wait to see what you all do with them. I will try to keep this page up to date with all the In Flight goings on. At the moment I don't want to give too much away, but I thought that I should share some initial information about fabric requirements so that you can all get ready to join me from kick off in January. Fabric Requirement details for a variety of layouts can be found here. The Introduction contains details of the patterns, the schedule and the prizes. No sign up necessary Cheryl, Just keep an eye on my blog in January when the first block will appear. Thanks for pointing out the problem with the link Medea Gator. I have corrected it now! The introductory details of the quilt-along are now up and the first pattern will be released later this week. I hope you join us! 'm already a bit late, but I was wondering whether this would be a good way to start paper piecing or if you would recomend any other of your beautiful paterns. I've never done paper piecing before and I admit it intimidates me! Definitely not to late to join in. The patterns gradually increase in difficulty and I really did my best to keep the early patterns in the quilt along as simple as possible. We have quite a few people sewing along who have never paper pieced before and its great to see the results that they are achieving. Paper piecing is not as intimidating as many people believe. Give it a go and you may be pleasantly surprised. I hope you join us.